VidOvation today announced that the Aviwest Pro380 Series, the latest generation of Aviwest’s highly portable video uplink system, is now available to customers in the U.S. and Canada. Packaging a best-in-class H.265/HEVC bonded cellular encoder and transmitter into a compact design, the Pro380 brings powerful bandwidth savings to live remote video production — delivering up to 30 percent savings in cellular data compared with other HEVC solutions on the market and up to 65 percent savings over H.264 uplink solutions. Using the Pro380, broadcasters and video producers can dependably and seamlessly stream live HD interviews and events, and store and forward recorded content even amid unpredictable and unmanaged network conditions. It happens courtesy of Aviwest’s patented SafeStreams transport protocol, which employs two-dimensional forward error correction and automatic re-requests to replace lost packets and achieve up to 100 percent redundancy. SafeStreams also uses intelligent IP bonding techniques to provide reliable, broadcast-quality video transmission over 3G/4G/5G cellular, LAN, WAN, Wi-Fi, satellite, the public internet and more with minimum delay as low as 500 milliseconds, allowing mobile journalists and live remote production crews to stream high-quality video from anywhere in the world. The system’s high-performance HEVC encoder excels at high-motion, highly detailed video, delivering low bit rates and low latency and decreasing cellular data consumption without compromising on quality. 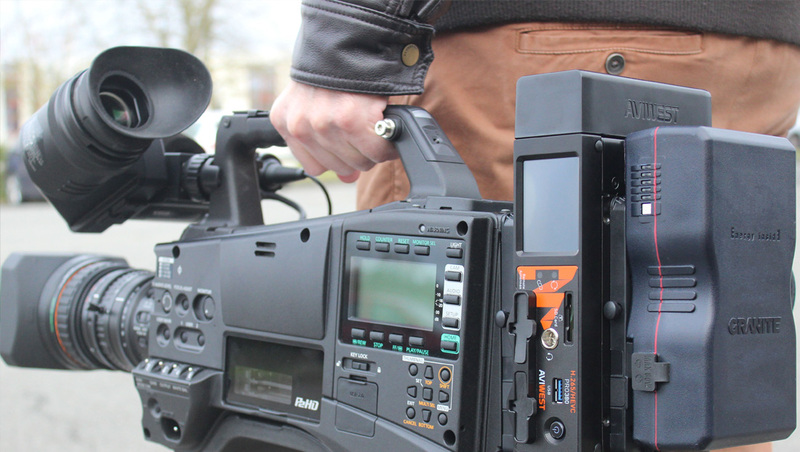 The Pro380 video uplink system is a camera-mount or backpack alternative to satellite. Its portable, robust design, along with a comprehensive panel of interfaces and functionalities (SDI in and out, HDMI in and out, analog audio in), make it perfect for on-the-go newsgathering, live multicamera productions and sports. Using the Pro380, broadcasters can record a premium-quality video file and forward it progressively to the remote receiver at the same time, saving a significant amount of time in the field. By detecting and bonding together multiple IP network interfaces, the Pro380 lets users take advantage of every IP network in the immediate area as it becomes available. 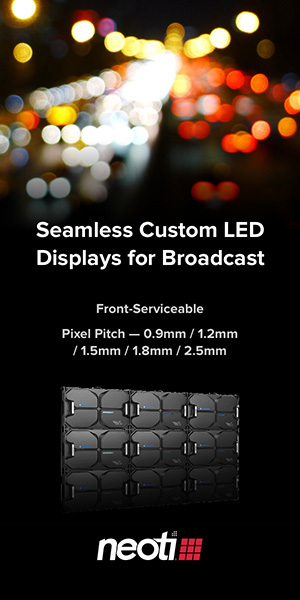 Importantly, multiple Pro380 transmitters can synchronously backhaul multiple live feeds with low latency and perfect genlock and lip sync — a boon for live, multicamera remote integration and at-home productions. The Pro380’s ability to home-run all camera feeds to master control synchronously over cellular and IP networks eliminates the need for a remote production truck or drastically reduces its size and cost. It also minimizes the on-location staff required to produce a live event locally. Without it, the show would not be possible. The Pro systems transmit as many as 36 perfectly synchronized “Live PD” camera and microphone feeds simultaneously to a central control room over multiple cellular and IP networks at distances spanning thousands of miles.